The Legend of Zelda: Link's Awakening was certainly one of the weirder entries in the Legend of Zelda franchise. What started as an off the books side project by a few developers on the team quickly turned out to be one of the most memorable entries in the series, with the mysterious setting of Koholint Island making for a very interesting place to explore. You could take a Chain Chomp for a walk or you could fight something that looked suspiciously close to Kirby, and who could forget that godawful music that played every time you picked up a Guardian Acorn? What do you think? Does he do a pretty good job? 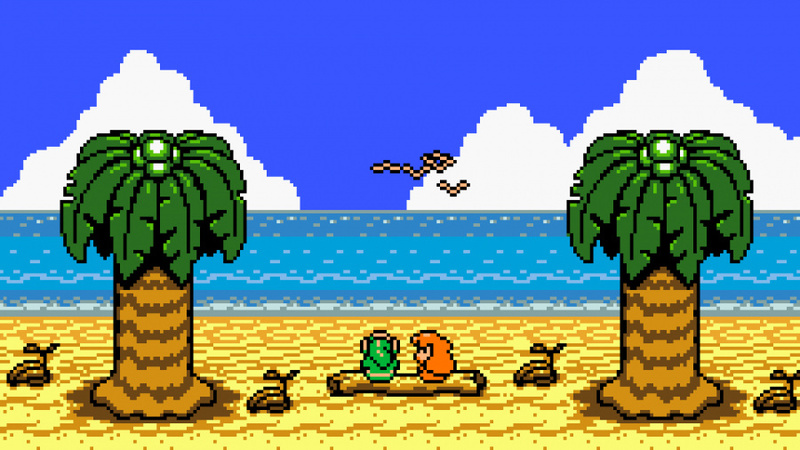 What did you think of Link's Awakening? Share your thoughts in the comments below. Still one of my favourite Zelda games. Awesome cover too! "Looks like this guy found the Ninth Instrument of the Sirens"
Unless it's a cover of Ballad of the Wind Fish. Now I have to go listen to the music ball in Tri Force Heroes again to subdue my disappointment that I didn't get to hear it here. My favourite Zelda game. And a fun cover too. Remains to this day one of my favourite Zeldas, certainly my favourite handheld Zelda. This rendition of the overworld theme is brilliant. That was great, love the fact that he used different saxophones for tone. Fantastic! I can only imagine what this guy could do with the Ballad of the Wind Fish. Very cool. Still my favorite Zelda game. Though not real life instruments, if you wanna hear some Ballad of the Wish Fish, Mario Maker-style, check out my creation: 6CB9-0000-00DB-7D4A. No controller input required, other than entering two pipes and a door. I incorporated all 8 instrumental parts (plus Marin's harmony part for the second half), using sounds most closely resembling the in-game instruments, and working within the item/enemy number limits imposed by the game. Took a crazy amount of time to get it as good as possible, so I hope you like it--if you have the game, of course. They should allow us to give as many stars as we want to the music levels. I can't imagine how time consuming it has to be in order to work. Thanks. Yeah, that one took me a few hours a day, for most of a week. (Guess I'm something of a perfectionist.) But the one I just uploaded yesterday, a piece from the game Chrono Cross, took me perhaps twice as long. >_> It's frustrating and time-consuming trying to work around the various limitations in the game. Of course, the game isn't exactly aimed at making music levels, so I'm not gonna complain much; I'm just glad they incorporated it at all--giving every item and enemy their own unique sound, for instance. Sounds cool to me. I enjoy hearing Mario Paint mixes, so I'm sure your stage will be a real treat. I'll be sure to give it a go when I get the game.